There’s not thing like a brand new set of LED lights to completely overhaul the driving comfort and look of your vehicle. It’s an inexpensive way to take years off the appearance while making the ease of driving (especially at night) much easier and more enjoyable. The good news is that LED lights are something that often can typically be done at home depending on your comfort with automotive installs. There are quite a few things to keep in mind when purchasing and installing LED headlight or fog light conversion kits and that’s what this article intends to clarify for you. The first step when purchasing new lights is to determine the size of the bulbs. There are a few ways to find this information but we’ll start with the most reliable first. In your manual you’ll find an entire section devoted to the bulb sizes found throughout your car or truck. Browse through and locate the sizes of the ones you want to change. Another great and easy way to check out your bulb type is to search online. We use the Sylvania bulb website to find bulbs for customers. Just note that while highly reliable and we have great success, check your user manual as a first option. The other option we have to offer you is to grab your vehicle’s VIN identification number and call your dealer. They will be able to tell you what bulbs you need. If your vehicle was in an accident and needed new headlights aftermarket or if you changed yours out to change the look, almost all aftermarket bulbs are H7 but check with the manufacturer. 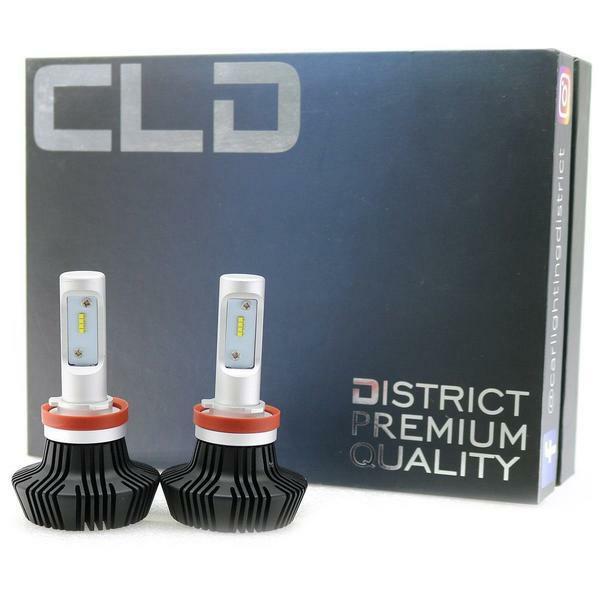 When shopping for bulbs there are 2 main types: headlight conversion kits and fog light conversion kits. 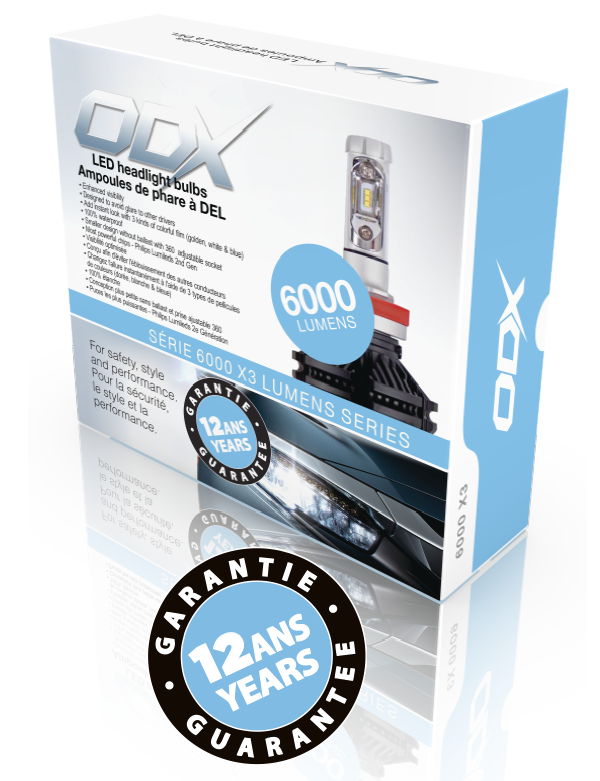 Headlight conversion kits are suited for both low beams and high beams. The fog light variation is best for - you guessed it - fog lights. What to look for when shopping for bulbs? WARRANTY: What is the warranty offered on the bulbs? In a lot of cases (but not always - warranties can also be marketing-driven), the stronger the warranty, the better the quality of bulb. Look for lifetime warranties where possible. HEAT SYNC MECHANISM: Some mechanisms for cooling the bulbs are mechanical with a fan. These have the potential to break because they have moving parts (please note these are not like the previous generation ones that we external and easy-to-break). In these cases we recommend a 10 year plus or lifetime warranty just in case it malfunctions somewhere down the line. Other mechanisms are electronic or physical and are virtually impossible to break because there are no moving/breakable components. In this case a lifetime warranty isn’t as necessary. COLOUR: Keep your eye out for colours between 6000-6500K (lightbulb colour is measured in Kelvins). These are bight, crisp white. Last thing you want is a yellow LED bulb. BRIGHTNESS: When it comes to headlight (low or high beam) replacements you want to be getting a bulb with at least 6000 Lumens brightness (6000L is our preferred brightness but there are some brighter ones on the market). For fog lights, around 4000L is perfect - these bulbs don’t need to be bright and for practical reasons, shouldn’t be. Cheaper brands will have less brightness but again this negates the benefit of making the switch in the first place. You’ll see the difference! If you’re changing out the fog lights, please note to only use fog light replacement bulbs - not headlight ones (across most brands). The reason is that fog lights are more exposed to dust and dirt from driving and are typically designed differently than headlight bulbs. Also they are less bright (typically) which is a good thing - fog lights shouldn’t be as bright as your headlights for best performance and for the look as well. You are free to use fog light bulbs for most brands in your headlights. They tend to be less expensive however also less bright. What are Decoders and When do I Need to Use Them? To decode or not to decode - that really is the question when it comes to LED bulbs. It can seem confusing but let’s simplify it all with a bit of knowledge. Decoders are needed for most vehicles equipped with a CAN bus system. CAN bus was introduced into vehicles in 2006 and 2007 depending on the brand. It’s a technology that changed how the computers in modern cars are constructed and is responsible for sending signals to all components attached to it. Put simply: it’s a more advanced automotive computer system. If your vehicle is older than 2005 you DO NOT have CAN bus or need a decoder. If your vehicle is newer than 2005 there is a good chance you might need one depending on your exact vehicle. In the case you have a Mercedes, Audi, BMW, Volkswagen or Volvo you are almost guaranteed to need a set. If you install LED bulbs and have some flickering, engine warning light “bulb out” come on, or in some cases they just don’t work, you need a decoder. What’s happening is that the signal the computer sends to the factory lights to power them is a pulsating signal instead of a direct one. This saves energy and stress on the battery and alternator BUT depending on how distant the pulses are, the LED lights might not like it. This results in the “bulb out” warning or flickers. The best way to know if your vehicle needs decoders is to call us (or the manufacturer of the bulb) and we will be able to tell you. Unfortunately there aren’t really any hard-and-fast rules to make it easier because it can change from car-to-car - even when they’re the same. 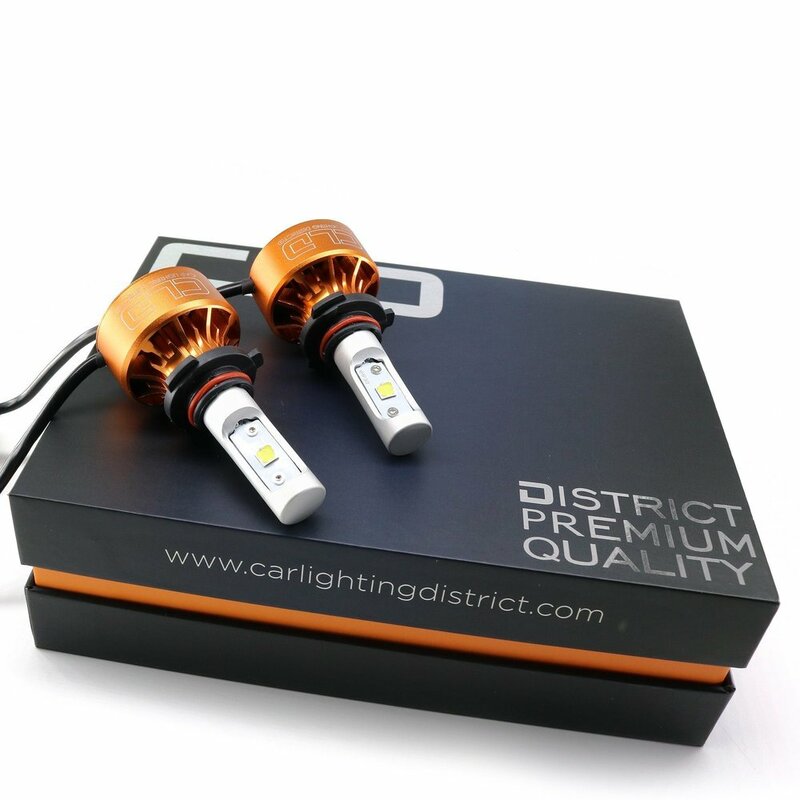 Another option is to go ahead and install the LEDs and if you experience any symptoms, order the decoders right away to install. A decoder alters the electrical signal so that both your vehicle’s computer and the LED bulb communicate effectively which means flawless performance for you! 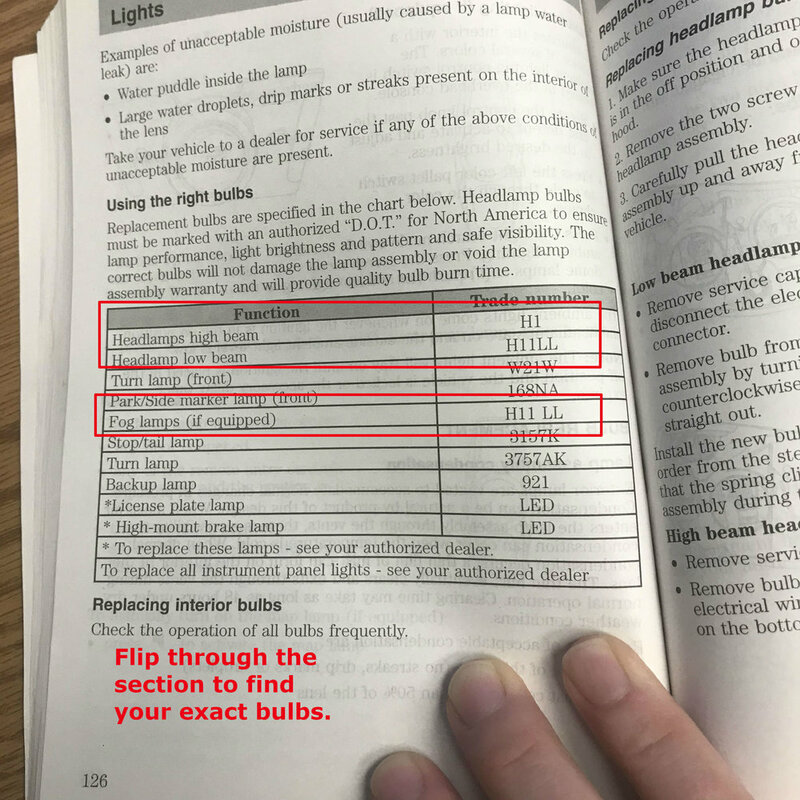 Best way to know how to install the lights yourself is to check your user manual for tips. They generally have some steps lined out for you, but not typically in much detail. The other option is to consult YouTube where there are lots of videos to help. Here are some tips (thanks to our friends at CLD) but keep in mind it can vary depending on manufacturer. Reflector Lights - these ones require a bit of special care to ensure you don’t blind on-coming traffic. Like projector-style headlights, they need to be installed with the filament left to right ONLY. Then adjust the bulb angle down while focusing the beam on the floor or a wall to make sure it’s not aiming too high. Projector Lights - like reflector lights, be sure to install the bulb so the filament is right to left. Standard Bulbs - you’re good to go! In some cases there are adaptors needed to get that perfect fit. For CLD LED bulbs Kia’s and Volkswagen’s always do. So keep that in mind if you have one of those brands. If you’re installing your bulbs and have fitment troubles, don’t hesitate to call support or the manufacturer. Over the years we definitely have discovered our favourite bulbs that we love for our own vehicles and our customers’. Here’s a simple, go-to list if you’re thinking of upgrading your bulbs. So there you have it! Our hope is that this guide helps to naviagate the world of automotive LED bulbs. If you have any questions pop them in the comments so we can help or call our product experts.